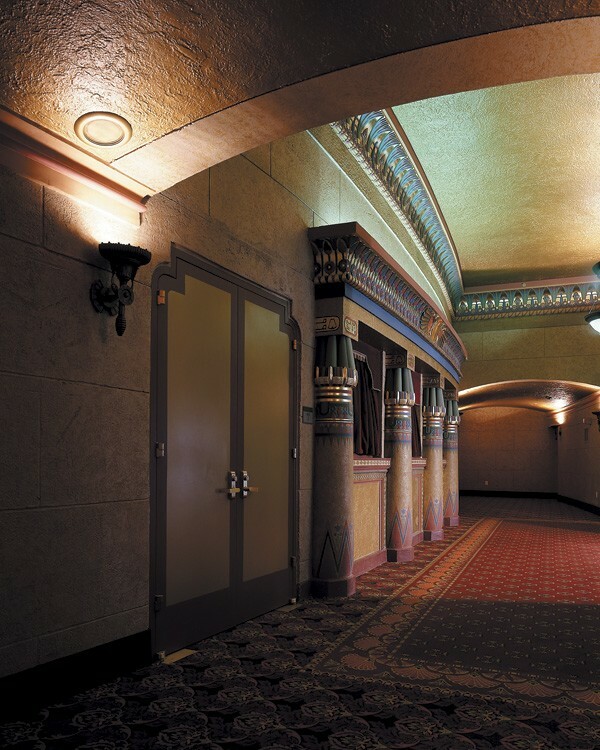 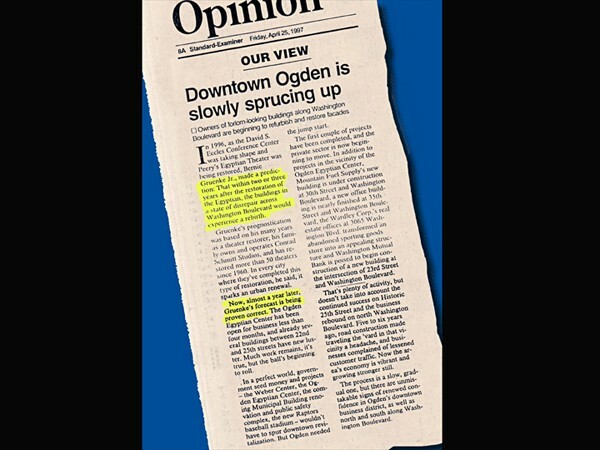 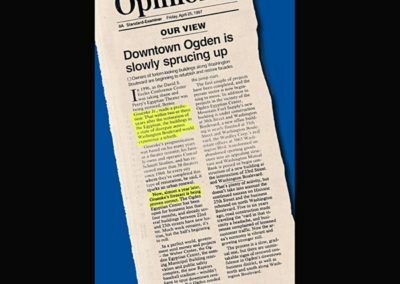 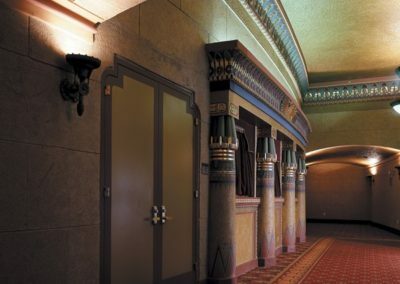 To discover the original decorative scheme, buried under layers of paint at the Peery’s Egyptian Theater in Ogden, Utah. 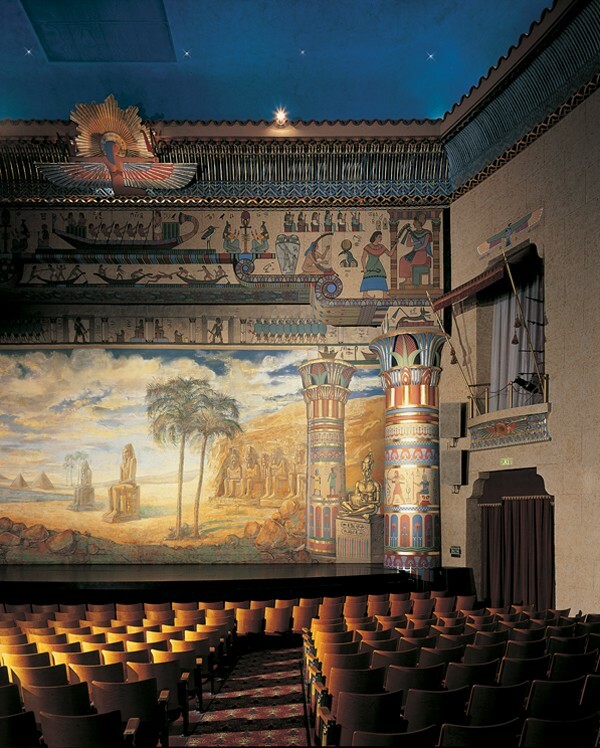 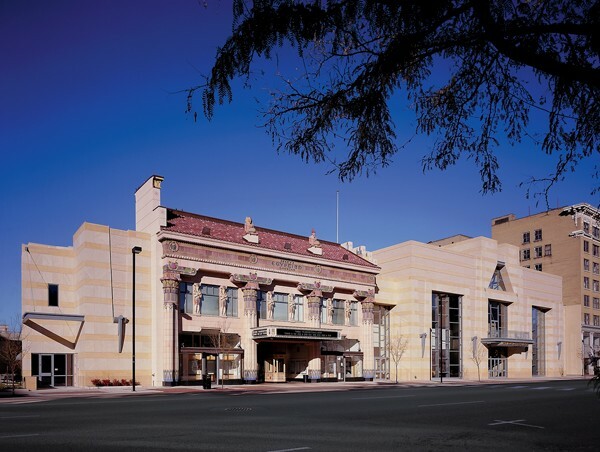 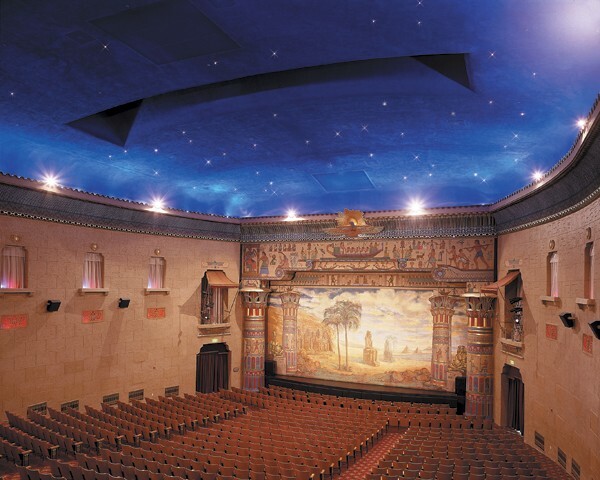 Then, to undo various remodeling updates and restore the theater to its 1924 Egyptian splendor. 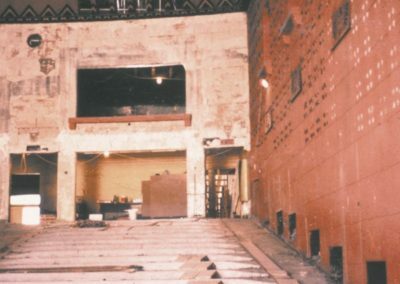 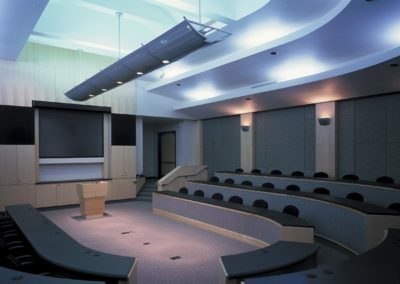 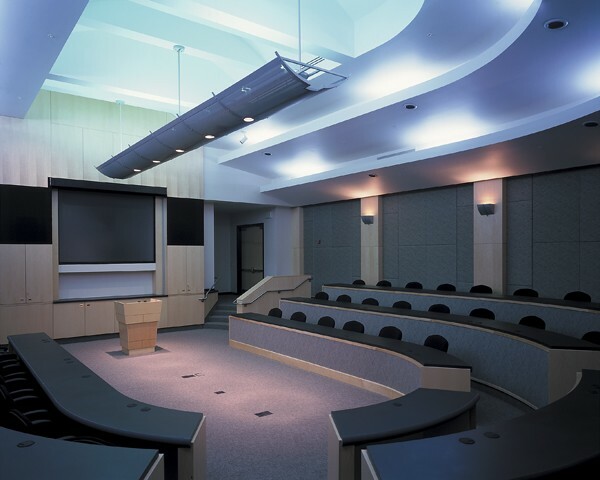 Conrad Schmitt Studios established the theater’s original decoration through a scientific process of investigation, analysis and documentation. 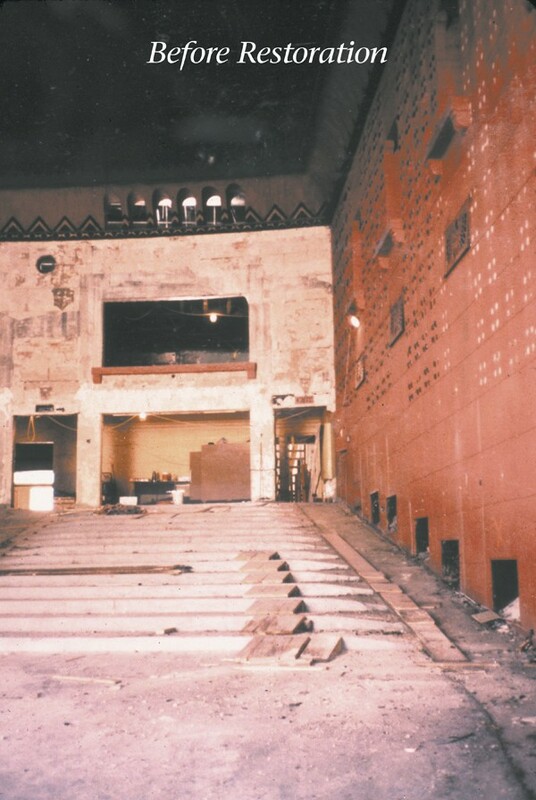 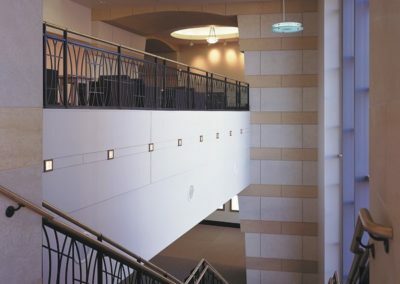 The restoration work included uncovering the balcony from behind a wall, removing a large 1960s movie screen and curtains, and restoring damaged plaster. 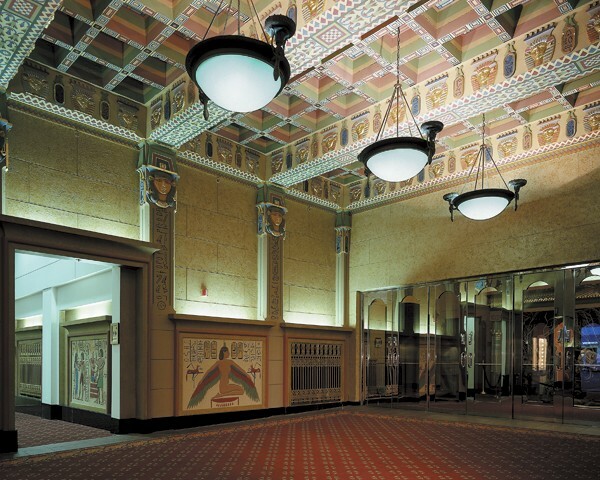 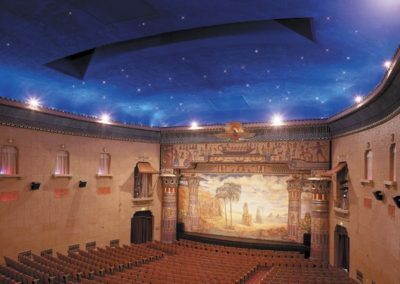 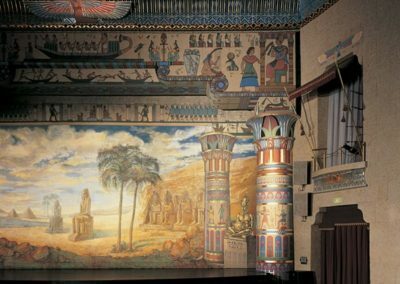 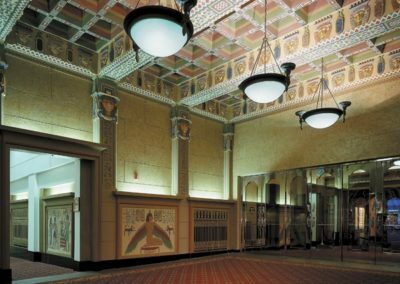 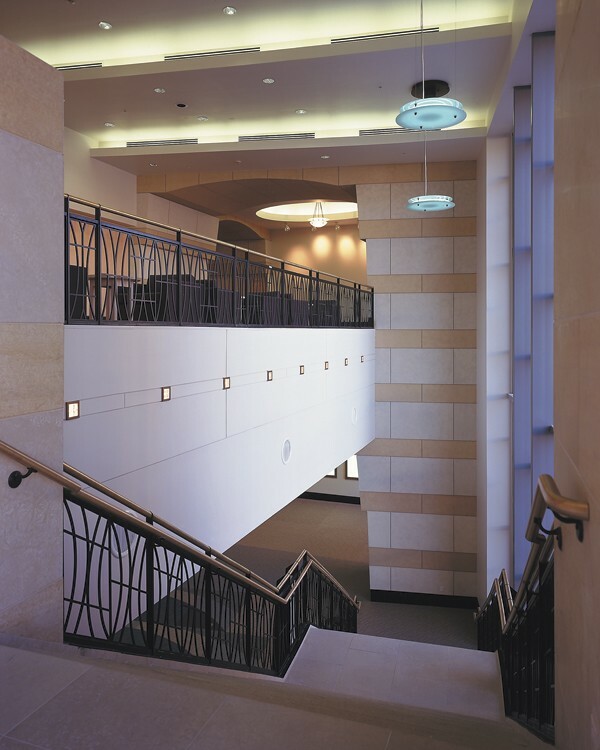 CSS artists then painted the entire interior, reapplying Egyptian motifs and figures, and adding glittering highlights in gold leaf, returning the theater’s magnificent ambience.